How long did you dream about Vine for Android? Its time to download! 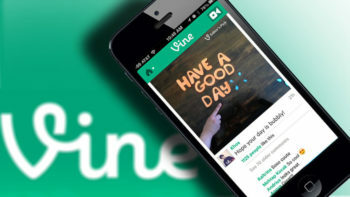 Vine has long been one of the most popular apps available from the Apple app store with over 13 million iOS users. The mobile app is designed to enable users to both create and share short video clips on social networks like Twitter and Facebook. Twitter purchased the Vine app in October 2012 and offered it exclusively on iOS devices. However, as of June 3rd this year, Vine is now available to Android users. Why Is Vine So Popular? Within just a few months of its release on Jan 24 2013, Vine had become one of the most popular video sharing applications on the market. The popularity grew until it became the most downloaded free app on the iOS App Store by April 9th, just over 2 months since its launch. So what does make Vine so popular? Vine is often hailed as the natural progression from the runaway success of Instagram. It is mobile, easy to use and highly versatile. In theory, it should be pretty boring looking at micro length video clips. However, users have gotten highly creative and ended up sharing really cool stop motion animation sequences. It is surprising just how much can be packed into a six second video. How Does The Android Version Measure Up? 5 Tweets per second will contain a Vine link! Most Vine activity occurs between 10-11am EDT. With Twitter opening up Vine to a whole new segment of consumers, it looks like the app is here to stay for the long haul. Vine’s creator Dan Hoffman says the appeal lies in the simplicity of the app and he claims that although it takes time to learn how to use it, once it has been mastered, it is easy to create an share. ‘People are getting creative, and the audience is growing,’ says Hofmann.